The very first stage of the 41st edition of the Dakar Rally already reminded Aleš Loprais, Ferran Marco Alcayna and Petr Pokora why this motorsport event is considered the most difficult in the world. Although the Monday special stage was relatively short, the Instaforex Loprais Team crew encountered a couple of tricky moments. The participants first moved from Lima, the capital city of Peru, to the south to Pisco in the morning for the afternoon 84 kilometres long speed test in the sand dunes in the surroundings of the city. The Peruvians created a fantastic atmosphere, thousands of them lining the road even of the liaison section, enthusiastically greeting not only the racing vehicles but also their support vehicles. A lot of fans also lined the route of the stage and the red-white-black Tatra Jamal – Queen 69 nearly paid for a practical joke of a group of them. Loprais began a chase ride and caught up with Ton van Genugten. Both trucks then entered a river basin where the dust stirred by the Dutchman's truck prevented any further overtaking. In addition, the crew noticed the smell of rubber fifty kilometres before the finish. “We worried what that was and that is why we drove on fully inflated tyres, but that represented the risk of getting stuck in the sand. 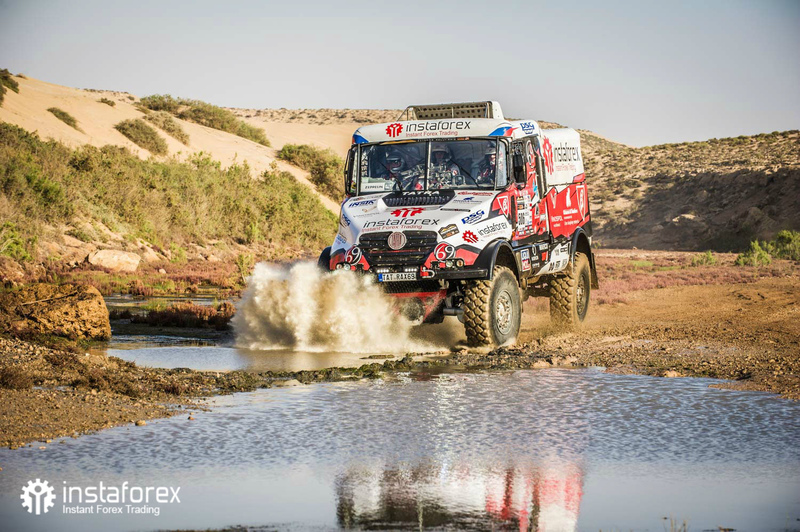 Apart from that our intercom failed and so we could not hear each other,” continued the 38-year-old pilot of Frenstat pod Radhostem in the listing of Dakar traps which introduced themselves already in the course of the first racing day. As they found out later, the crew with the starting number 507 reached the finish with a slow pucture of the front left tyre. Despite that they ranked eighth overall, less than 6 minutes behind the stage winner Nikolaev. “We jumped into the first stage with all Dakar is able to bring. I cannot understand how we managed the eighth place after all that trouble. 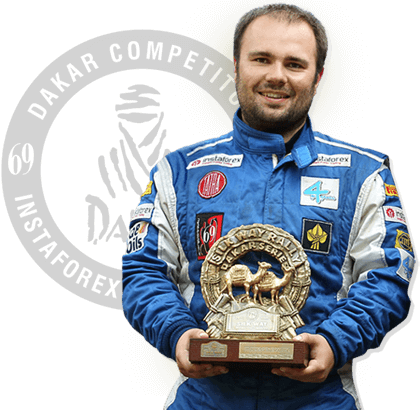 I am really glad for the result,” said Loprais with relief in the bivouac. On Tuesday 8th January the Dakar Rally will continue further to the south to the city of San Juan de Marcona. The special stage will be 342 km long and will be part of the total stage length of 799 kilometres.